Welcome to your complete guide to the Labrador Retriever. 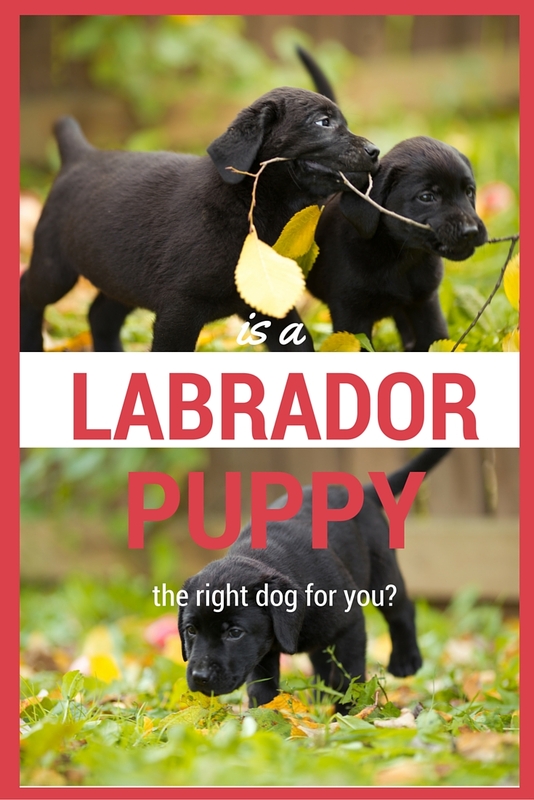 If you are trying to decide whether to welcome a Labrador puppy into your home, then we will give you the advice you need to make the right decision for you and your family. Where do Labradors come from? What do Labradors look like? 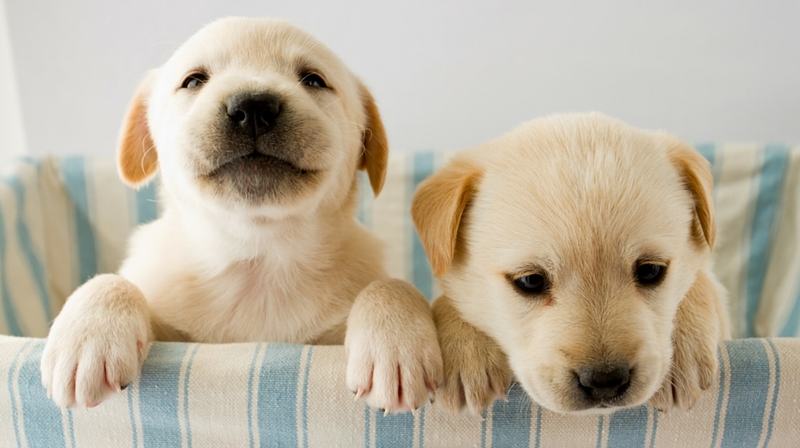 How much do Labrador puppies cost? Is a Labrador puppy right for me? With an honest review of the Labrador breeds temperament, characteristics and requirements. To understand the modern Labrador, we need to take a little look at his history and previous roles in society. 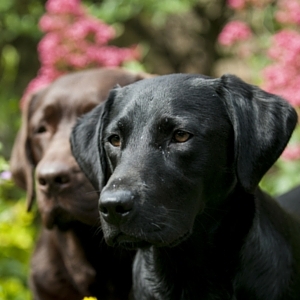 In common with our other most popular breeds, the Labrador belongs to the group of dogs known as ‘gundogs’. In reference to their original role as hunting companions to their human owners. Labradors have been selectively bred for a century now, as hunting companions. Their role is to retrieve shot game and return it to their handler in a fit state to eat. This is a job that requires not only natural retrieving instincts and a soft mouth, it also requires intelligence and co-operation. The breed was established in England by a few enthusiastic aristocratic families during the early 1900s. They used St John’s water dogs, imported from the USA as the foundation for the breed. Not only is the Labrador our favourite pet dog, it is also the dog favoured in canine service industries the world over. Guide dogs, military dogs, therapy dogs, sniffer dogs, search and rescue dogs, Labradors dominate in all these fields. Labradors have retained the general outline of their predecessors, although they have floppy ears, a short coat and a wide otter-like tail. They traditionally come in three colours, chocolate, black or yellow, although there are a range of shades within this. Most notably fox red and white hues, described by the Kennel Club as yellow. A physically robust dog that ranges from fifty to eighty pounds in weight, the Labrador is no small dog and can take up quite a lot of space. Especially when happy, where their body can move along with their tails in what is fondly known as a ‘full body wag’! Just like some of our other gundog breeds, the Labrador has however become divided into two quite different strains of dog. In the UK we call these working and show. In the USA you are likely to hear them referred to as field and bench, or American and English (born of the misconception that we don’t have the same breed division in the UK). What do working Labs look like? He is less heavily built than his show ring cousins. His skeleton is lighter and narrower, essentially he is built for speed. This is largely because fast and stylish dogs are favoured in Field Trials – competitions which confer status to successful dogs and make them more likely to be selected for breeding. Sadly, many working strain labs have lost the characteristic Labrador’s Otter tail and some have a thinner coat than labs of the 1900’s. What do show Labs look like? Comparisons with photographs of show winning Labradors from fifty years ago, show that modern show labs are more heavily built than their ancestors. This is especially noticeable in the head and chest area, and in many cases they are somewhat shorter in the leg than they used to be. Why this has happened is not clear. What we do know is that with this division in appearance, has also come a difference in personality and temperament between the two strains. 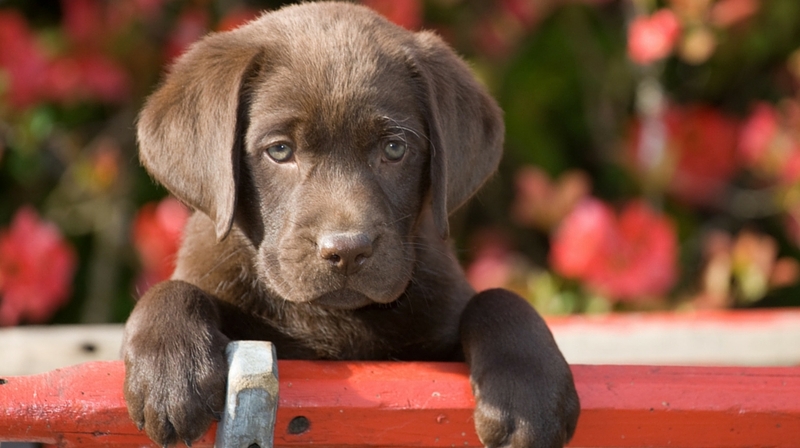 What is a typical Labrador temperament? A typical Labrador temperament will differ between working and show bred dogs. Over the last hundred or so years, the mental and physical abilities of our working Labradors have been enhanced and refined by selective breeding and we now have a breed with some extremely useful abilities and a very desirable temperament. But this has fractured into two camps, the show bred and the working bred. The working dog is often more sensitive and serious. He may be less playful too, and these attributes make it easier for him to focus on his training and on his handler. Much of a retriever’s job is an intricate piece of teamwork between the dog and his handler. The handler will know or have been told approximately where the game bird or animal is located, but be unable to reach it himself. The dog on the other hand, will have the ability to reach the bird, but no idea of approximately where it lies. Rather than have the dog hunt randomly all around him, the handler needs to be able to send the dog far away from him and give him directions at a distance. It is the complex training needed to achieve this aim, that requires both an intelligent and a co-operative dog. And of course, such a dog is ideally suited for training to carry out all kinds of other tasks too. This intelligence and co-operative nature lies at the heart of the Labrador’s success and popularity. It is present to a considerable extent in all our gundog breeds, and underpins the overwhelming popularity of this group. Show bred Labradors retain a lot of the traits of the working lines, brought forward from their routes as gundogs. But they have also developed some differences in their personality. The show bred labrador may be more outgoing and unreservedly friendly. Our chocolate Lab who has show lines in her breeding is far sillier than any of the working Labradors we have had. She is much more up for a game, and interested in greeting everyone that she sees. Whether you think this is a good thing or not depends entirely upon your personal preference. Their outgoing natures can be a little tricky to manage when they are bouncy teenagers, and show bred dogs may take longer to mature than their working cousins. They also remain very playful into adulthood, when working dogs will have often become more sensible in their outlooks. A show bred dog may also lack the speed, drive and powerful retrieving instincts that occur in abundance in his working cousins. Do Labradors make good pets? Regardless of breeding, any Labrador can make a good pet in the right home. But they are not for everybody. They are fairly large, shed a lot and can be smelly. They are often bouncy, and tend to nip a great deal as puppies and adolescents. However, if you have the time to commit to training and ability to separate your growing pup from vulnerable members of the family and fragile ornaments, there are an awful lots of things that make Labradors good pets. They in general get on well with other dogs, and although they have some prey drive they do not tend to become overly excited by other household pets. You can happily find numerous Labradors making good friends with the family cat, and simply giving an interested sniff to the rabbit in the hutch outside. They are kind and friendly dogs with humans, and often love children. The downside to this however is to do with their excitement and size. A Labrador is more likely to injure a child by knocking them over or upset them by licking them mercilessly than he is to behave aggressively towards them, but these behaviours can still be unwanted by the child in question! You will need to make older children aware when your puppy needs space, and to supervise interactions with younger children carefully. Making sure they both have space to escape when they need a rest, and that they don’t accidentally hurt one another! How Should I Socialise My Labrador Puppy? Labradors are notoriously friendly dogs, but this does not mean that the breed is without exceptions to the rule. If you take a puppy into your home, taking responsibility to help him feel confident is an important part of your role as their owner. Whilst the urgency to get them familiarised with different people to avoid potential aggression issues isn’t as great as it is with some guarding breeds, it is still a good idea to help them to feel happy around a variety of different types of people. You also want them to be comfortable in lots of different situations, for example in the park, the pub garden or walking down to the local shops. You can take your pup out to meet people before his vaccinations have been given, as long as you don’t put him down on the floor or let him greet strange dogs with unknown vaccination histories. Carrying him on the bus or into pet shops is a great way to get him used to the idea of new places. Once your vet has cleared him to go for walks, you can up your efforts for the next few weeks. Remember, the socialisation window closes sharply after around 14 weeks of age, so get visiting as many places and people as possible. How Much Exercise Do Labradors Need? Labradors are big dogs, with lots of energy. You will find that they are more likely to relax at home if you give them a couple of good half hour walks a day once they are fully grown. However, exercise does not have to be in the form of a formal walk. You will find your Labrador may even prefer playing fetch in the garden to going out and about. As born and bred retrievers, most Labs will happily race back and forth for a ball to tire themselves out. Do Labradors need much training? In order to live happily with a Labrador, you will need to invest some time in training your puppy. House manners such as not jumping up, and the basic commands like to sit and come when called will make your life much easier. You will also benefit from teaching your Labrador heel from puppyhood using the clicker heel technique, as an adult Lab can pull very hard on the leash if untrained. You might also enjoy bonding together through advanced training with your dog. Labradors, especially those from working lines, are great dogs for people interested in training. Their ability to work co-operatively with humans is well developed, as a result of the distance control required for the gundog work they were bred for. Wherever teamwork and remote control is required of a dog, we tend to find an abundance of intelligence and a willingness to co-operate with a human partner. Making use of this won’t just give you a better behaved dog, it is a fun activity and one that will strengthen the bond between you. Because Labradors were bred for so long (and still are to some extent) for a practical and demanding job of work, they do not suffer unduly from major health issues brought about by exaggerations in conformation. The conformation of a dog is the way he appears due to his underlying structures. And the Labrador is generally speaking a physically well-balanced dog. Like all floppy eared dogs however, he is more prone to ear troubles than his prick-eared cousins. Obesity is becoming a widespread problem in this breed. It is sadly increasingly common to see Labradors that are seriously overweight. It’s not a problem that is confined to Labradors, but because Labradors are generally very greedy dogs, they are susceptible, and it is vital that they are not fed according to appetite but according to their appearance. There are a number of inherited diseases to which Labradors are prone, and for which there are health tests available. The most well known inherited diseases that Labs suffer from are to do with malformation of their joints. Hip and elbow dysplasia. Both of these are at a higher risk in Labradors than in other breeds. Fortunately, breeders can have x-rays carried out on potential puppy parents, to assess the quality of these joints. They are scored on a scale, and this gives you an idea of the likelihood of your puppy suffering from hip or elbow problems. The closer to zero a dog’s hip score is the better, and you preferably want it to be even. So a score of 7 in total is better than average, but if that is made up of 3:4 it is better than 0:7, which suggests one side is perfect and the other far poorer. Labradors also suffer from vision problems. Progressive Retinal Atrophy (PRA) being the most common, but CNM and EIC also an issue. Your pup’s parents should have clear eye tests and a certificate showing they are clear from all of these. In general terms however, this is a robust and fairly healthy breed of dog. Labradors generally have a lifespan of ten to twelve years. Although I have known some that lived a few years longer, this sadly relatively short period of time is the norm. On the bright side, if they remain healthy into old age, there is no reason your puppy shouldn’t stay active and healthy during his retirement years. Loving, loyal and fun until the end. How do you combine a Labrador puppy with full time work? If you have a full time job, you will need to think long and hard about the logistics of welcoming a Labrador puppy into your home. Puppies require a lot of attention, especially in the first few weeks. You will need to either take time off work or work from home during this period. If you do choose to work from home, or are lucky enough to bring your pup to work with you, you will find that they are quite the distraction during this time as they will need frequent trips outside to the bathroom to pre-empt them emptying their bladders on your floor and getting into bad habits. 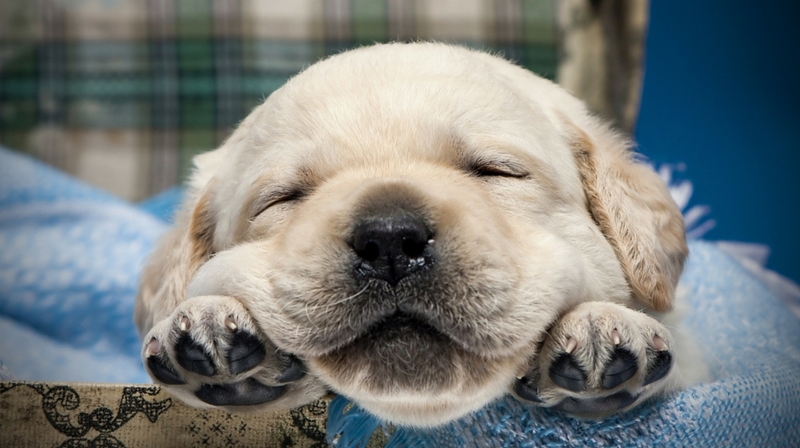 As they grow, your Lab will be better able to hold his bladder, but you may still find working full time difficulty. Labradors are social creatures, and can suffer from separation anxiety when left for protracted periods of time. This can lead to distractive behaviour in the house when you are out, or an awful lot of noise for your neighbours to listen to. One option for Labrador owners who work full time is to get a dog walker to come and pick them up a couple of times a day, or if they suffer from separation anxiety to look into options for full time doggy day care at a dog creche whilst they are at work. You may not know whether this is something your dog will need until they are older, but the best way to set yourself up is to build up periods alone slowly, provide lots of fun toys and make sure they are never left for so long as to become distressed. Buying a Labrador puppy will cost you anywhere between £400 – £1,000 depending upon where in the country you are, what health tests the breeder has carried out and whether the pup is registered with the Kennel Club as a pedigree. Do not be tempted to simply go for the cheapest puppy, remember that your dog should be with you for at least the next ten years. Prioritise breeders who seem committed to the welfare of their dogs, who have clear health tests for every relevant disease and show that they will be available to you if you have any questions throughout the lifetime of your pup. Remember as well that the cost of a dog is not primarily the price you pay for them. Each year you will rack up considerably more than their initial sale cost in food, insurance, worming, flea treating and general costs of toys, bedding and more! Is a Labrador puppy the right dog for me? Labradors are certainly very popular dogs. Just by looking at the number of registrations of pedigree dogs in the UK and USA, we can see that thousands are born and sold to new homes every single year. Labradors are bouncy, especially when they are pups. They are also fairly large. If you live with someone frail or very young, they will inevitably get knocked over or hit by a wagging tail. If you work full time you will need to factor in day care, and if you have children ways of keeping them separate when you are unable to supervise them. However, if you are confident you are able to deal with training your dog and giving him the care and exercise he will need, you will be rewarded with the most loyal, loving and fun companion you could ask for. You may be put off choosing this breed due to the fact that they are because of their popularity, considered to be very ordinary. Some people are dissuaded from the Labrador Retriever breed because they want something different. However, this is a two-sided coin. The reasons this dog is so ‘everyday’ is because he is also so special. Unusual breeds are often unusual for a reason. Because they are not so well suited to such a large number of households. If you are tempted by a Labrador, and if your circumstances are right for bringing a Labrador into your home, don’t be put off by the fact that this is an ordinary dog. He is, in many ways, the most extraordinary dog in the world. I appreciate the tip you gave, to make a puppy comfortable with different situations. My husband has been wanting to get a dog for a couple years now. If we get a dog, we want it to be well socialized, so that they aren’t scared, so once they get all their shots, taking a dog to classes would probably benefit it. Hi, I have a 7 month old American Labrador, charchol color. Really cute and wellbehaved. I have now heard that a puppy basically should be excersised as little as possible, overtraining is really bad. Can you not take a 6 months lab for a one hour walk or so? Or let her play with other dogs? Happy to get some advice? Hey i have a 6 month old black lab and he loves being outside. Since his coat is dark he attracts more sun. How long should he be outside? I also love Pippa’s articles/websites/books and I’ve read lots of other books in preparation for getting a puppy. One thing I haven’t seen in anything I have read though is what you do when socialising a pre-vaccinated puppy and it wants to go to the loo? Can you put them down at all? Or do you need to take newspaper or a puppy pad? I live 15 minutes’ drive away from the town where I will be doing most of the socialisation, so by the time I get there and back there may not be much we-free time left! Hi Pat, I am pleased to hear that you like Pippa’s information 🙂 You might find this article of interest: http://www.thelabradorsite.com/when-can-i-take-my-puppy-out/ Best wishes, Lucy. Thanks Lucy – very interesting! I definitely intend to take her out and about for socialisation, which I agree is vitally important, and not put her on the ground (equally important) until fully vaccinated, but that still leaves the conundrum of that to do if she needs a wee? I am reading as much of your articles as I can because I want to be a good dog owner. I have not even got a dog yet. I have ordered two of your books which should arrive in a couple of days. One thing I would like to ask is how do you select the right puppy from a litter? Are there tests you can do to help you choose the ONE for me? We just brought home a lab-mix puppy three weeks ago, and she is a delight. After you have met the puppy and if possible, the puppy’s parents, you should be able to obtain health records from the breeder for the parents and pup. The puppies should be interested in you, curious, and lively. Look for clear eyes and ears, and a coat that is not patchy or dull. In the US, I have not met a breeder, even a ‘backyard’ breeder, that did not offer a full refund for the puppy should it not pass a vet exam at a veterinarian of your choosing. If they are not open to this, it may be a red flag. You should take your new pup to your own vet as soon as possible to evaluate her health. Aside from health, truly, the puppy will pick you. We chose Cocoa from a litter of 9. The breeder put her in my arms and she snuggled in, kissed me, and wrapped her paws around my arms. You’ll just ‘know’. Good luck! I love everything you write Pippa You have answered just about every question I’ve ever needed to know about raising my two Labrador girls. I totally enjoy life with them, have come to understand their needs more and more each day. I am beyond proud of them, their intelligence and their beauty, they have so much elegance. . There is a very good reason why they are so popular. They are not that complicated once you get the hang of it ,extremely easy to keep clean and groom, got a water hose and shampoo? You’re done! They swallow their food,- no dishes left behind, only their water dish. They are very child-like with their affectionate rambunctiousness, and they steal your heart away. They get along with my cats too. 🙂 True that measures of puppy proofing have to be made and they need a safe area to be,because they are heavy chewers, when one cannot supervise them. But, when we are together playing in the garden, we are one happy family! my Melo, Ruby & me. <3 Thanks so much for how well you have trained me Pippa, so that I can train them. Success!!! <3 Much love from the ladies & me. Ruby, Melo & me …. 🙂 <3 . Positive reinforcement makes for well adjusted, happy pups & the owners that love them! Oh I’ve loved reading this infact I love everything you write, I’ve got a 7 year old lab and he’s my world, great advice and great tips! They are by far the best loyal dog you will ever find! He’s my best friend!! Long-haired Dachshund information abounds in this article! Akita Lab Mix – Great Family Pet or Loyal Guard Dog? Akita Mixes – We Show You The Full Range! Akita Temperament – How Does This Large Breed Behave? Akita: Powerful Guard Dog or Loyal Family Pet? Alaskan Husky Vs Siberian Husky – What’s The Difference? American Akita – Is This Dog Right For You? American Bull Terrier – Is This Dog Right For You? American Bulldog Lab Mix – What Happens When Two Different Dogs Combine? American Bulldog Mixes – Which One Is Right For You? American English Coonhound – Is This Dog Right For Your Family? American Husky – Is This Dog The Right One For You? American Labrador Retriever – Is this breed right for you? American Mastiff – Is there room in your life for this massive breed? American Staffordshire Terrier Mix – Do You Know All These Hybrids? Anatolian Shepherd – Can This Guard Dog Make A Good Family Pet? Anatolian Shepherd Great Pyrenees Mix—Is This The Right Pup For You?